It’s not easy to be recognized for your experience and invited to join your first company Board. However, by understanding your value to a board, what Boards are seeking, building a great network, and using all the resources available to you, you can be successful. 1. Review and evaluate your experience against the challenges facing boards today. Have you held full profit and loss responsibility with a company of equivalent size or larger? If your expertise is in a functional area like finance, marketing, or sales, have you led substantial growth into new market segments or global expansion? Have you identified new products or markets which provided significant growth? What phase of maturity were the companies: start-up; rapid growth; industry leader; turnaround? Have you managed, and are you knowledgeable about, the many types of risk companies face today? Have you worked in a regulated industry? 2. Most Boards today, formally or informally, have developed a matrix of skills they need on the Board and that they will be recruiting against. The matrix may be based upon the company’s challenges and opportunities, phase of maturity, functional expertise, and the needs of Board committees. With some research, you can identify the key skills that the type and size companies you are interested in are seeking. Match these skills with your experience from Step 1. 3. Build your Directorship presentations – resume, LinkedIn profile, elevator speech. If you are a recently retired executive, or in transition, the same resume you have used in seeking a job is not appropriate in seeking a directorship. It does not immediately identify past directorships including those on non-profit boards and Advisory Boards. It does not focus on meeting the key skills identified in Step 2. Any presentation, whether a resume or LinkedIn profile, must be targeted to the audience; in this case Nominating/Governance Committees and search firms seeking to fill a Board position. It has to quickly highlight your relevant Board experience and skills. 4. 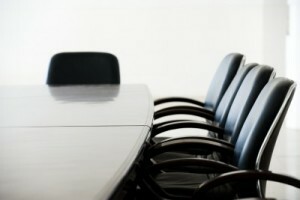 Network, network, network.Tell everyone you are seeking a Board position. Do not assume they will figure it out. Identify current directors and key influencers, i.e., those who work with and consult to Boards. Seek introductions to local and national search firm consultants who fill directorships. 5. Get to know, and be known by, the many resources available. The National Association of Corporate Directors (www.nacdonline.org) has a national Directors Registry as well as some of the best educational programs available. However, you must be or have recently been a director on a Board to join. There are a number of other director registries, both national and local. Governance and directorships is a substantial topic on Twitter. Talk to sitting directors and find out how they landed their directorships and what resources they recommend.